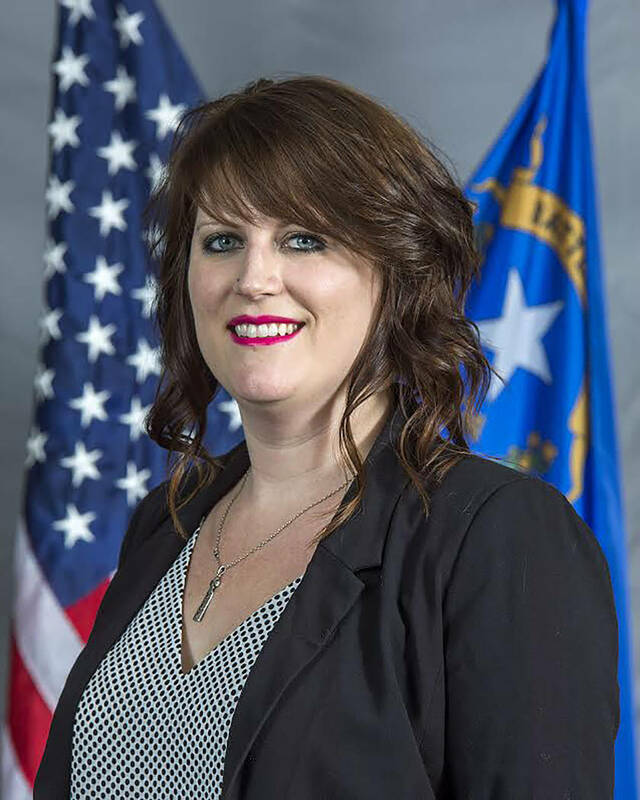 “Other Post-Employment Benefits” were the subject of stark discussion at the most recent Nye County Commission meeting, with Nye County Comptroller Savannah Rucker explaining that the county must start to take steps now to prevent the cost of these benefits from growing to several million dollars per year. 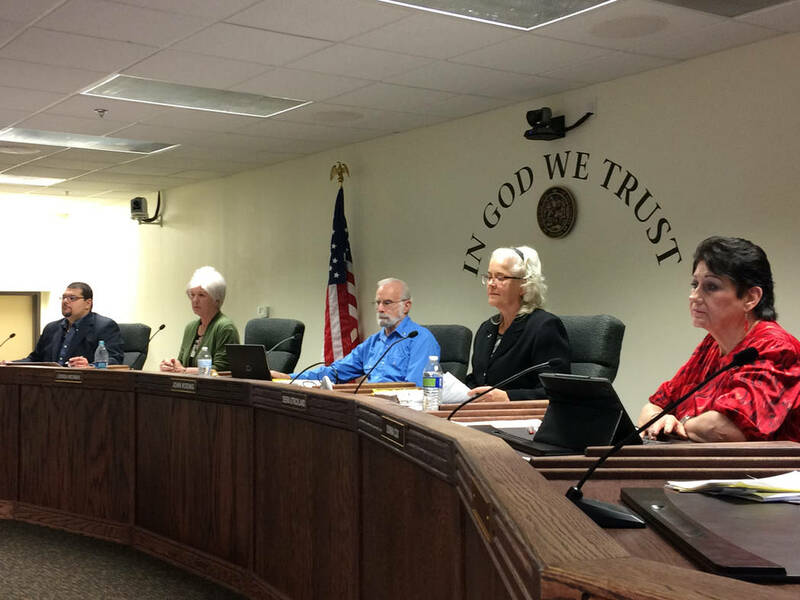 Robin Hebrock/Pahrump Valley Times The Nye County Commission received a sobering report during its first meeting in February, learning that the county is liable for millions upon millions of dollars in retiree health coverage costs. Special to the Pahrump Valley Times Nye County Comptroller Savannah Rucker discussed the county's enormous financial liability from its Other Post-Employment Benefits program, which provides health insurance coverage to county retirees, during the commission's Feb. 5 meeting. Other Post-Employment Benefits is a program for retired county employees which provides them with medical insurance coverage, including health, dental and vision, when they are no longer working for the county. Rucker explained that these benefits are separate from the better-known Public Employee Retirement System payments that many county employees are also entitled to. As of today, the county is paying Other Post-Employment Benefits for 215 current retirees at a rate of $646 per retiree per month, bringing the grand total to over $1.6 million in fiscal year 2017-2018. With an additional 355 active employees entitled to these benefits when they retire, that cost is expected to jump year over year and could easily become completely unmanageable if nothing is done to stave off future increases. “These numbers are crucial because as we continue to add positions to the county, that will continue to increase this liability moving forward,” Rucker stated. She went on to explain that the total liability from the insurance program comes to nearly $65 million for fiscal year 2017-2018, a number so unwieldy it elicited expressions of dismay from commission members and the public alike. Rucker said the program is very complex and the report she provided was packed with assumptions, as a wide array of factors, such as mortality rate, increase in health care costs and plan options, can impact the total liability to the county. Rucker provided the commission with a graph detailing the projected annual cost to the county over the next 30 years, which showed that if nothing changes, the county could be on the hook for more than $8.5 million per year in Other Post-Employment Benefits by 2048. “So what’s next? Making the commission aware is the first step. Next steps are to negotiate changes into contracts, health care coverage, collective bargaining agreements, there are all sorts of different ways to start working on this liability to reduce it overall,” Rucker said. The county is currently a “pay-as-you-go” entity, she informed, only paying the costs on an annual basis with no pre-funding. Putting money toward the program before it is needed, perhaps in a trust fund that could generate interest, was one method of helping bring the costs under control. The county also does not currently require its retirees to obtain Medicare coverage and that too would be something the county could look at in order to offset the rising costs. Blundo requested that the item be brought before the board on a regular basis, perhaps quarterly, to which Rucker agreed, noting that she would be preparing several options for the commission to consider in the coming months. Blundo then turned to Nye County Manager Tim Sutton to ask about possibly changing the collective bargaining agreements that the county has with its employee unions. “These benefits are driven by the language in the collective bargaining agreements, which were previously negotiated. We have several up for negotiation now. Obviously that’s something we are going to bring to the table,” Sutton replied. “I apologize that I am saying it this way but I feel like there has been a financial irresponsibility, whether it be past boards or past management staff, but this is, $65 million floating around out there like this, that is just so financially irresponsible. Talk about bankrupting the county in one fell-swoop,” an obviously frustrated Blundo stated. Commission chairman John Koenig said that was precisely the reason the item had been brought before the board. Rucker remarked that she was not certain of why this subject had not been brought to the county’s attention previously but now that she was aware of the problem, she was having it addressed.